Visit the Crow's Nest on Facebook! 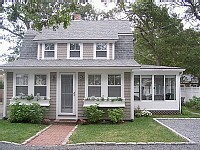 "Best Off-Season Escape for all of Cape Cod"
The Main House is our most spacious cottage and invites our guest to unwind and enjoy and entertain both family and friends. 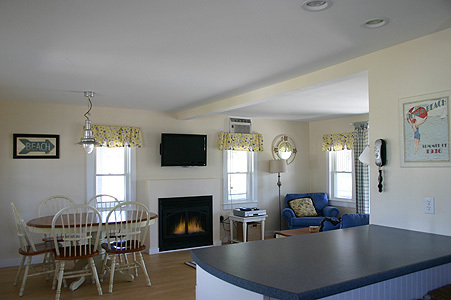 Three comfortable bedrooms adorn this completely renovated cottage which accommodates up to 8 people. 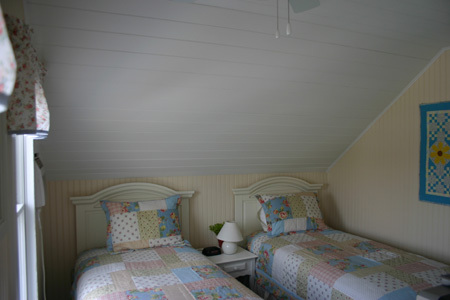 Two of the bedrooms have two twin beds each while the master bedroom is appointed with a queen bed. There is also a queen sleep sofa in the living room downstairs. 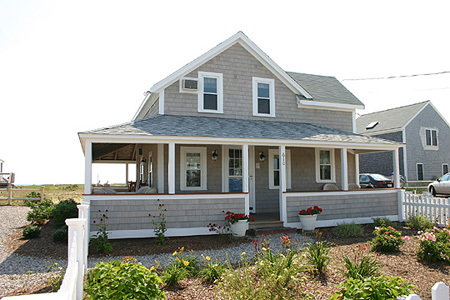 Reminiscent of only a handful of true "Cape Cod" style homes left on Beach Point this home will bring you back to a simpler less hectic way of life. Circa 1890s it is charming with period characteristics including a huge wrap around porch with deck and original wide pine floors and bead board on the second story. 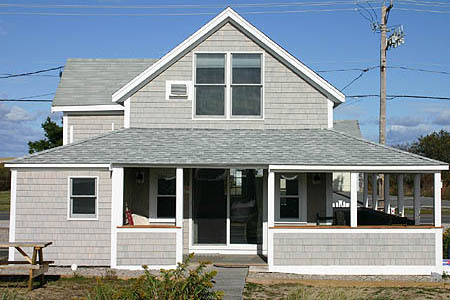 The entire home, inside and out, has been modernized and updated. The first floor has an airy open floor plan with all new appliances including microwave, dishwasher, full size washer/dryer. The bath is located on the first floor and includes a full size tub shower unit. 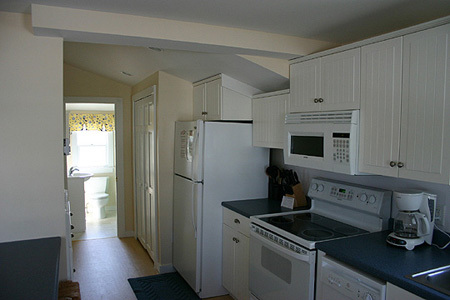 The entire home is air-conditioned and there is even a private hot & cold outdoor shower. For a list of amenities and what you might need to bring along click here. A new gas fireplace will be installed over the winter and will be ready for our spring opening in April of 2009. Perfect for cozy romantic evenings as well as those chilly spring and fall evenings these fireplaces are same type as we have installed at the Resort. Updated web images will be added soon. We supply bath towels, bed linens, coffee maker, toaster, blender, telephone, Cable TV with HBO, DVD, pots, pans, utensils, other kitchen supplies, lobster pot, plates, glasses, silverware, blankets, mattress pads, pillow covers, bed spreads, washer/dryer, iron & ironing board, hair dryer. 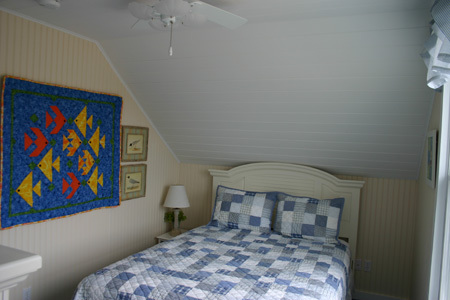 All of our bedding is of very high quality and yes all cottages have air conditioning, washer/dryer, and gas fireplaces. 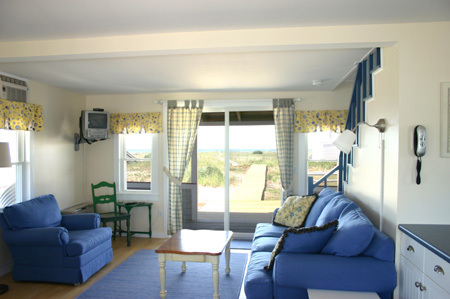 Flat screen TVs are provided in the living area as well as all bedrooms. Guests need to bring beach chairs, beach towels, paper products (paper towels & toilet paper), detergent, soap, grill (propane only). 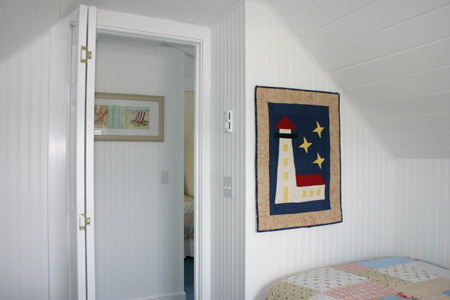 Thank You for considering the Crow's Nest Cottages! We want to do everything we can to ensure your vacation is everything you expect it will be. Please take a moment to review our rules below. They have been carefully drafted to help maintain the quite enjoyment of all guests staying at the cottages. NO PET of any kind including but not limited to cats, dogs, birds, etc. are allowed on the property including the beach and/or parking area. Any violation will result in the loss of the security deposit and require the immediate removal of the animal. SMOKING IS NOT PERMITTED inside any cottage, house or deck area. Smoking outside of buildings is allowed on the beach or in an area where it is not bothersome to other quest or where smoke may find it's way into any building due to shifting winds. Any violations will result in the loss of the security deposit. Candles are NOT permitted anywhere on the property. Bicycles are NOT allowed in any building. Roller blades, skateboards, scooters and the like are not permitted. 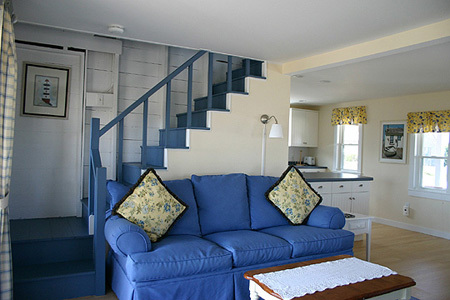 Use of your cottage/house, inside and out including our private beach are for the exclusive use of REGISTERED GUESTS ONLY. No guests of guests are allowed without prior written approval of manager. We do not provide grills. If you wish to grill we only allow propane grills due to fire concerns, no charcoal please. Grilling is not allowed on decks or boardwalks. Grills may not be stored in any building or on any deck. Please grill only in sandy areas. Active sports are to take place only on the beach. Sound travels easily here on the ocean at any volume. Please refrain from making noise that could bother other guests, particularly between the hours of 10:00 p.m. through 8:00 a.m. "quiet hours" within or outside of your cottage. Headphones are required outside of your cottage for radios and the like. No hammocks, clothes lines, clothes racks, towels or any other such device or other item may be installed or hung on the exterior/interior of any building. 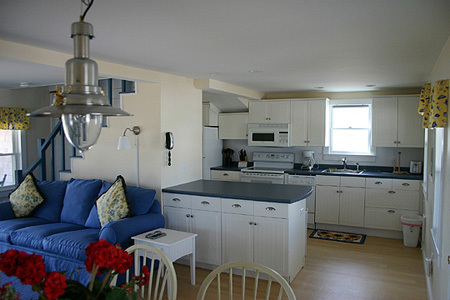 Outdoor furniture as well as all cottage/house contents including kitchen items are unique to each building and are not to be interchanged within buildings nor should any inside furniture be moved outside. Likewise, outside furniture is not permitted inside. No more than two vehicles are permitted per house/cottage without written permission from the manager. Only those cars registered with the manager are allowed on the property. No Boats, trailers, campers, RV's or the like will be allowed on the premises. Unregistered vehicles will be towed at owner expense. Check-in is 3:00 PM. Please stop at our parent location The Crow's Nest Resort located 1/2 mile before the cottages on the left at 496 Shore Road. 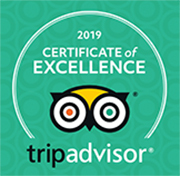 Here you will pay for the remainder of your vacation and pick up the keys and some additional information you might like to review during your stay. Check-out is 10:00 AM. 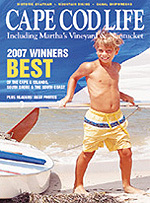 Crow's Nest Properties are managed and marketed by Coastal Cape Development, Inc.
all material © copyrighted 2004-2019 Coastal Cape Development, Inc., images provided by Steven Pinker.